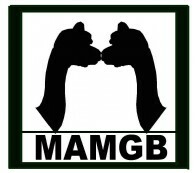 Greenbriar Farm - MAM Consulting Associates Inc. is an alpaca farm located in Waukesha, Wisconsin owned by Margery and Michael A. Morack. Dedicated to the development of a line of conformationally correct, solid, non-fading true black haucaya with a stated average herd goal of 20/10 - 20 micron and 10 pounds gross sheering weight. EVALUATE TO EXCELLENCE! A free procedure to assist purchases, breeding, and herd building improvements. Contact us for a brief description (262) 970 - 9633 or MAM2@wi.rr.com. 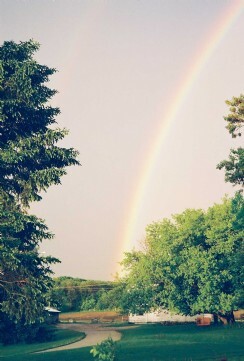 The promise - a good future for all! Our farm store ALL ALPACA bringing quality alpaca products to you. MAMGB Wasake - Crescent Moon Velocity - Grand River Amstel cross. Located 20 minutes west of Milwaukee, Wisconsin on a 68-acre farm purchased in 1997 or a 2.5 hours adventure from Michigan on the Lake Express high speed ferry. We discovered alpacas and decided that was to be our farm's livestock but required research. We read every publication available at that time; articles, books, internet sites, seminars, lectures, presentations, and agricultural publications. 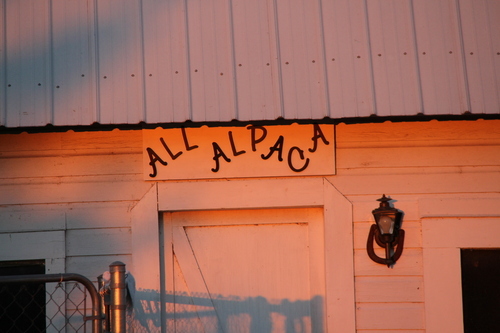 We visited over 150 alpaca farms across the United States and attended over 50 shows nationally. 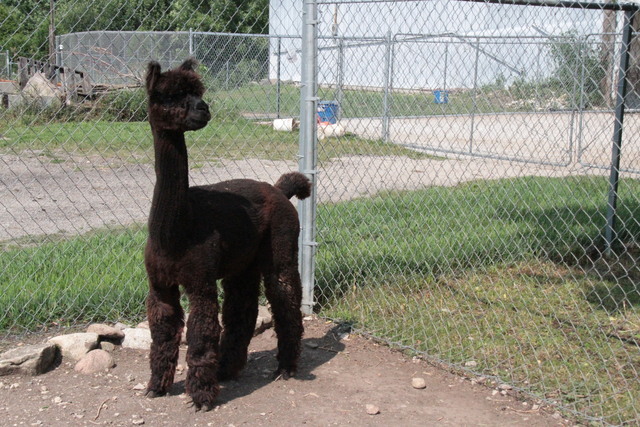 In 2005 while Marge was in China on business, "we" purchased and agisted our first alpacas. Alpaca arrival to our farm exposed us as book smart and animal husbandry poor. With no livestock husbandry experience we learned alpacas were the right choice while building experience. Good mentors, an exceptional veterinary, and common sense helped us thrive. We build knowledge yearly about care, nutrition, feeding, evaluation, breeding, selections, fencing, structures, handling, and management. As we learn we share, such as EVALUATE TO EXCELLENCE, a hands on tool to objectively evaluate alpacas for breeding, purchase, or shows. NUTRITION Verses FEEDING to understand the difference, and develop good nutrition plans for your herd. Alpaca owners humble us with a willingness to share experience and knowledge. We approach business with the same generosity of spirit by focusing information and convert to tools to assist application. Our price - your success. We participate in shows to keep us accountable. We employ histograms to objectively understand what the hand feels and the eye sees. 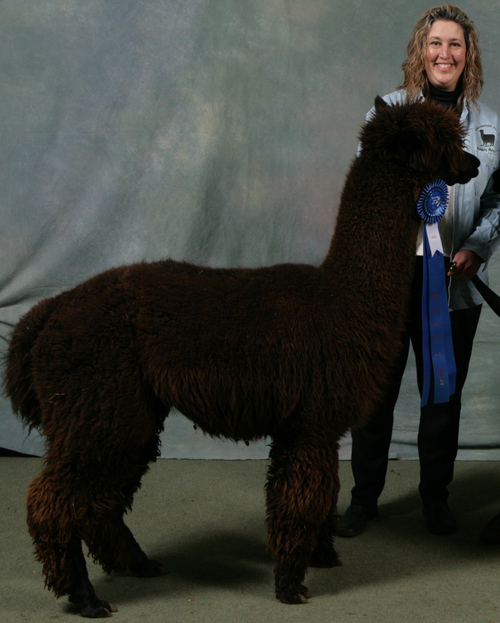 Both tools demonstrate we are competitive with our alpacas and insure that our program improves each year but use selective breeding practices based on objective, verifiable, and measurable data. Our mission: Develop a LINE of true black Huacaya Alpaca averaging 10 pound shearing weight, 20 micron or less, with correct conformation. Call for an appointment: 262-970-9633.